Unless you live in New Mexico, the town of Red River will probably be a surprise. It has a long and colorful history as a rowdy old west mining town, but today Red River looks more like a European ski resort village. 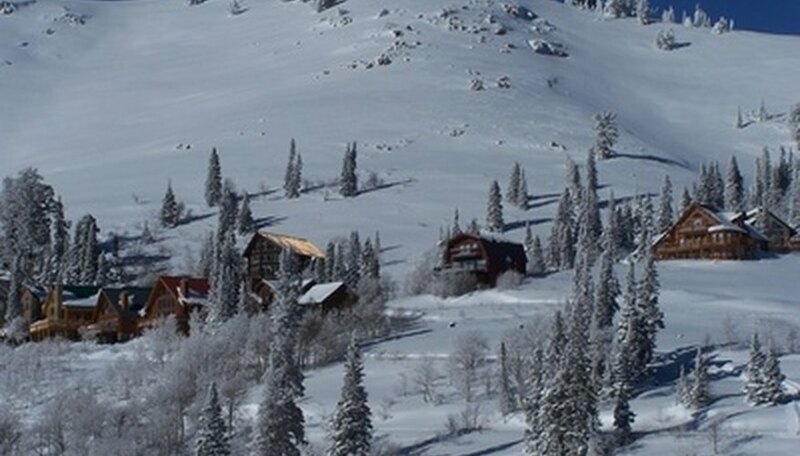 It advertises itself as "a mountain playground' and definitely has the best skiing in the American Southwest. There are also hot air balloon rides along the scenic Red River valley. It is a great place for a romantic getaway. The Three Bears Lodge might be in the best location in America. It is only a few yards from the ski chair lift, half a block from world famous Texas Red's Steak House and across the street from two old time western dance halls and saloons. Out the back door is a wilderness area that features the best trout fishing in the Southwest. The cozy cabins are perfect for a memorable Rocky Mountain getaway. A great combination of seclusion and convenience. The Auslander is nestled in a marvelous forest of blue pine and yet is only an easy walk to the main chair lifts or to the center of town. Each condominium features a full kitchen and free wireless Internet. The clubhouse has a hot tub, sauna and a gorgeous apres ski community room with an enormous fireplace. Rocky Mountain Manor is right on the river and in easy walking distance of restaurants, shopping and chair lifts. The 50-cent trolley runs by all day long. The cabins vary in size from cozy secluded cabins for two to expansive, expensive mini-lodges for 12. All cabins come with complete fully stocked kitchens and free wireless Internet. Kids under 10 stay free and there is a 10 percent AARP discount for those over 55. Mano, Carlos. "Romantic Getaways in Red River, New Mexico." Dating Tips - Match.com, https://datingtips.match.com/romantic-red-river-new-mexico-6045595.html. Accessed 18 April 2019.